Updates have been kinda slow on the site lately, mostly due to this new project I’ve been working on (see above). 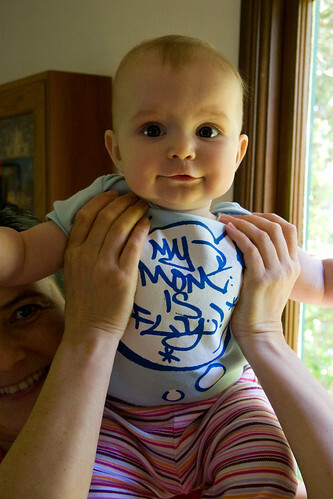 This is not a personal blog, but I had to post this shot here because of the sweet T-shirt Nate1 sent us from New Skool. Go check out his other wares, there are some excellent designs (I especially love the Krylon and headphones shirts!) Thanks Nate!